How do you choose your website name? Is there a thumb-rule? How do you ensure that your website is among the top million websites around the world? So, apart from the exceptional content, intelligent digital marketing and beautiful design, you now have another parameter to worry about. It is worth mentioning that I haven't even started with the number of internal and external links required or the SEO strategy or even google analytics. Adding another parameter like, website name ofcourse puts any professional on a backfoot as the name of the website in a URL seldom changes and for 99% of the cases is fixed. So.. No Pressure. But what you CAN change is the website URL name for any future projects that you work upon. What is really interesting is the near mathematical graph followed in our analysis in this post. 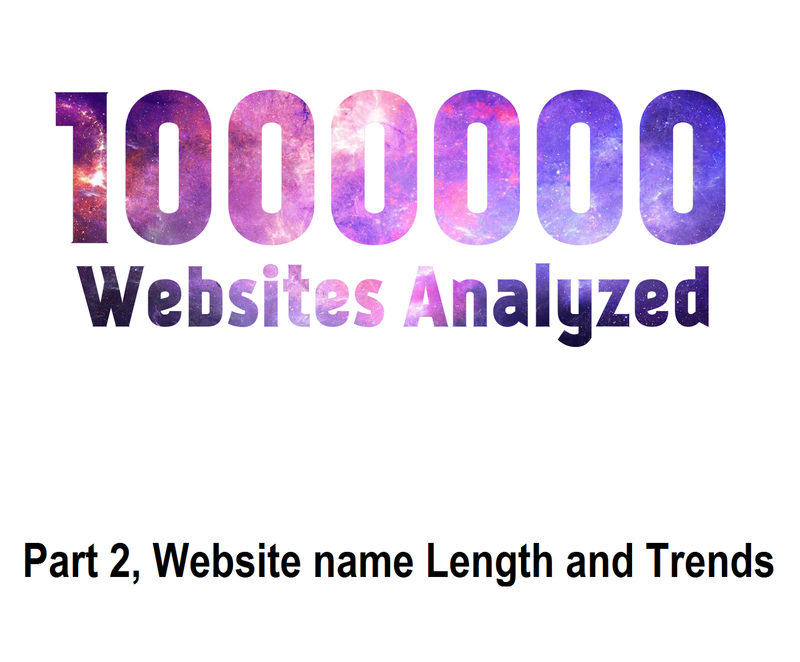 As discussed in the first part of this series on the word length of top million website names, the averge word length of a website is 7 words. 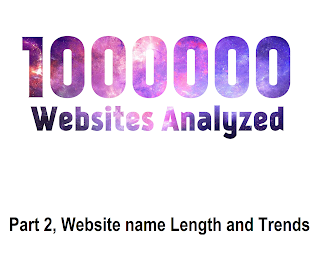 Also the average number of vovels in the URL name of top million websites in the world is just 3. We would try and segregate the data into ranges to get a better idea of trends and create thumbrules out of it. For the sake of discussion, we'll divide the complete data into chunks of 100,000 each. 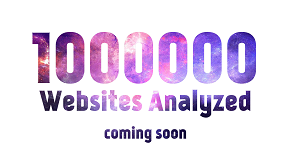 Top 100,000 websites among the million will be displayed as "0 to 100,000". As depicted in the graph, the total length of most websites in the top 100,000 websites is 8.85. What seems interesting is that as you move towards the lower ranked websites, the average length of the website name increases. In the range 100,000-200,000 the average touched 9 letters and in the range 200,000-300,000 the average touched 10 letters. The trend follows an increasing parabolic path and it seems from first look that increasing the length of your website name might put you at a disadvantage. Lesser number of letters in a website denotes efficiency. It also lessens the reader's burden of remembering the word or the name itself. Hence one must strive towards lesser number of words. How do syllables lead to difference in page views? Does the number of syllables in a passage actually make the reader's job difficult or easy? There aren't enough things that can be modified by a writer. But the short list would include definitely include syllables. Syllable in the simplest of form can be called as a unit of tone itself. When you pronounce 'SOBER' you actually combine two different syllables, 'SO' and 'BER'. How does it matter you ask? Many people when reading often voice the text, which means they do not simply ingest the text through their eyes, but also pronounce the words in their mind. Hence, the words employing large number of text might pose a problem. This might seem true logically, but there is another reasonining that might put you in a difficult position. Lower number of syllables might lead to a rough and dull passage, giving rise to lower readership. So what should you do, let us find out through an experiment. 28 separate articles, published on codemakit.com at different times in 2014 were tested using a simple readability scanner. The text in each article was scanned to find out the average number of syllables per unit word. 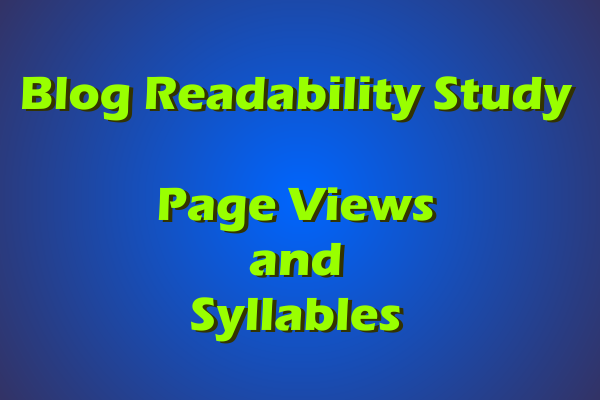 We'll now discuss the role, syllables play in gathering page views, which would be found out by checking if increasing the number of syllables per unit word leads to higher or lower page views. TO understand it further, we need to compare it quantitatively. Thus the average number of syllables per word can be directly proportional to the page views. However, this must be seen in moderation and cannot be taken as a rule of thumb. Number of Syllables per unit word is directly proportional Page views. To find more about the above topic, you can check out The Relation between Reading ease and Viewership through an experiment on Reading ease. 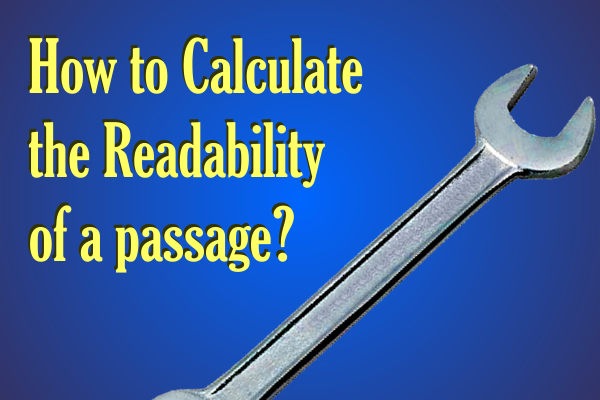 Do you want to know, how to calculate the readability of a passage? 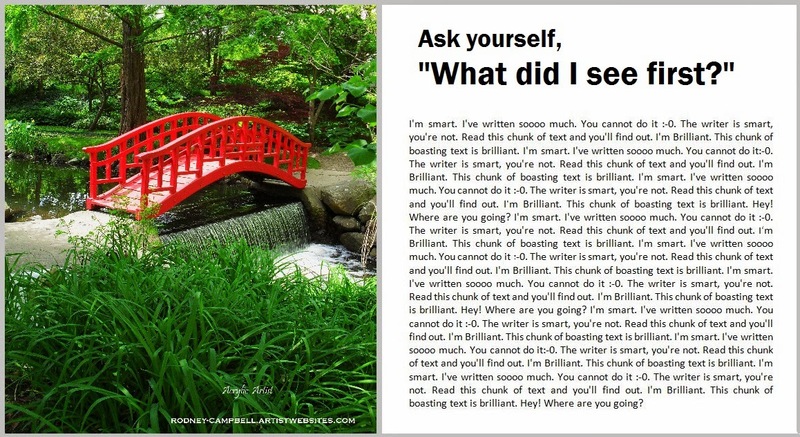 Can you read really long sentences? Can you digest a sentence containing 50 words? We have seen in a previous article that higher complexity leads to lower number of visitors. What happens when you use long sentences in a webpage? What is the optimum number of words a sentence must contain to ensure maximum user retention and interaction? Let us start with an example. "The amount of visitors on a webpage is actually dependent on a number of factors which include the web owner's search engine optimization practices, his writing quality and his repo with the swarming visitors at his personal blog"
Let us analyze Sample A. Sample A is a single sentence containing 38 words. A normal sentence that can be easily understood by a reader can range from 10-20 words. Usually a sentence with a large number of words and phrases taxes and stretches a reader's brain. More often than not, a sentence with large number of words is avoided by readers. Also such sentences are absolutely abhorred by readers looking for a light reading. "Number of visitors is proportional to SEO, content and visitor interactions"
Let us analyze Sample B. Sample B contains 11 words which is easily digestible. 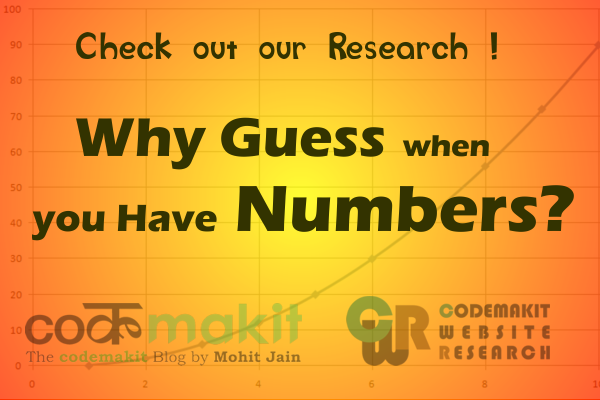 The reader can easily deduce that page views depend on the 3 factors only. People looking for a light reading will not be disappointed by the text and might even look forward to reading more. Moving back to the experiment, 28 articles, published on codemakit.com in 2014 were tested using a readability scanner. 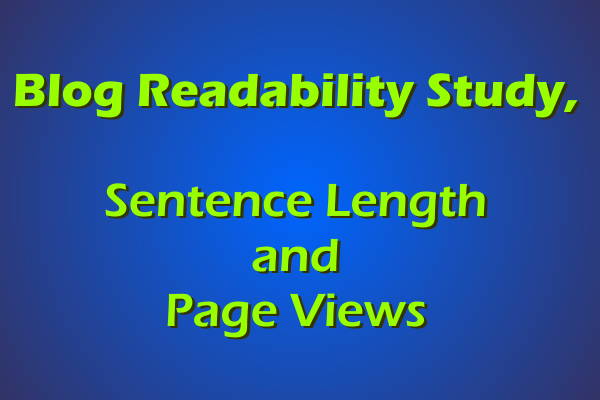 This article would talk about the role, the number of sentences play in gathering page views. We would check if increasing the number of sentences or number of words would lead to higher or lower page views. Thus it can be clearly deduced from both sentences that the number of sentences/ words has nothing to do with respect to pages views and that a really long sentence is equally probable to receive thundering applause as a really short one. So lowering the number of sentences / Words at your blog can be disastrous as Google's panda updates view them seriously and often impose large penalties on WebPages publishing pages after pages with a really small amount of content. But simply considering the number of sentences as the defining parameter in a text can be disastrous. Consider the case of a webpage which contains sentences of the length of Sample A. Evaluating such long sentences would ensure huge number of words but would undermine the fact that the number of sentences have reduced drastically. Hence we need another type of parameter that assesses both the number of words and the number of sentences. Hence comparing the average number of words per sentence page views was required. Average number of words per sentence is actually equal to the ratio of number of words and number of sentences. It tells about the number of words per unit sentence. Thus the average number of words per unit sentence can be effectively said to be directly proportional to the page views. However, this must be seen in moderation and cannot be taken as a rule of thumb. Page Views are directly proportional to the number of words. Page views are also directly proportional to the number of words per unit sentences. Learn how to calculate the readability of your blog or website pages, you could also mechanically grade your essays too! Did you know that there is a relationship between Page Views and the Ease of Reading. The engine at read-able.com performs its function flawlessly when you add some text to be analyzed. 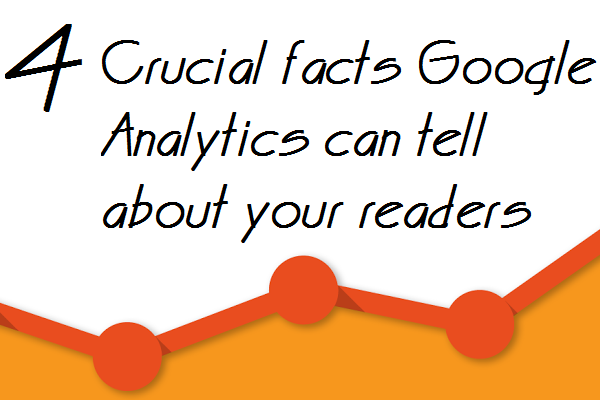 The following text is from an article on "4 crucial facts Google Analytics can tell about your readers". And the following are the results after assessing the piece of text. As can be seen from the table itself, several parameters are calculated on the text. An explanation with the formula for each parameter can be found below. I have no Idea, what can be construed as a complex word and what cannot. In my opinion, there must be a threshold number of characters in a word, exceeding which; the word can be construed as a complex word. It can be calculated with the ratio of number of complex words to the number of total words. Syllable is a single unit of a word, separated in accordance with its sound. If you type 'Gutter" you have two syllables "Gut" and "ter". So the word "Gutter" will have two syllables. Flesch–Kincaid readability test indicates the difficulty in understanding a text. They use word length and sentence length as parameters for their calculations. The scale ranges from 0 to 100. Higher the score, easier is the text to read. If you receive a really low score, it means that the text is really complicated and hard to understand. Gunning Fog Index is simply the number of years of formal study; a typical US student would have undergone to understand the text written. So if you get a fog index of 11, it would mean that a typical US student of about 17 years would comprehend the subject completely. The following is the formula for the same. SMOG is a short form of Simple Measure of Gobbledygook. Just as Fog index measured the years of schooling required to interpret a piece of text for US based students, SMOG index can be applied anywhere. The following is a formula for the same. This index is also used to determine the difficulty of text. It uses only the number of letters per 100 words and the average number of sentences per 100 words. It takes in parameters as average characters per unit word and the average number of words per unit sentences. Here's a codemakit research article on the relation between readability and viewership. Here are 4 crucial cues about your readers that you can get by observing your Google Analytics data. Just like in any project, knowing who you cater to helps you in increasing your work's quality. Google Analytics help you bridge that gap by answering your most asked questions. 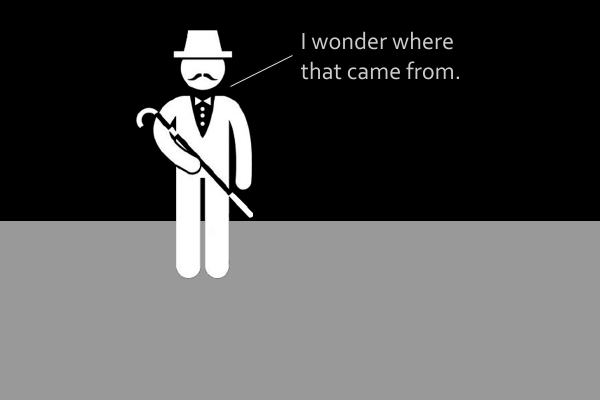 GA will help you understand where your website or blog visitors come from. Let us think how that information can be helpful to us. An example, you're standing in a garden at night and suddenly you're hit by a ball. You don't know where it came from. After 5-6 hits you have a faint idea where does it come from, at what height and at what speed. After 10 hits you'll be proficient at ducking them and even catching them. 1. What age group do they belong to? Using such information you can actually modify your website according to the readers/ visitors and enhance their experience. For example, What if you write a blog about biking equipment and find out that most of your visitors are of the female gender with ages 15 to 30. Here you have an opportunity which can be capitalized. How? Let’s find out. Using the information you received you can write a blog about certain widgets used in bikes for females. You can experiment with your blog colors and use compatible fonts with best practices to please your intended readers. You could also loop-in a guest post from a prominent blogger who belongs in their age group and gender. Owning an international blog fills you with pride. What good is it, if you cannot cater to your international viewers properly? Not all visitors will be from your own country (though you’ll have to check if some countries have not blocked your website). They might even be from your neighboring countries or even from far off islands. 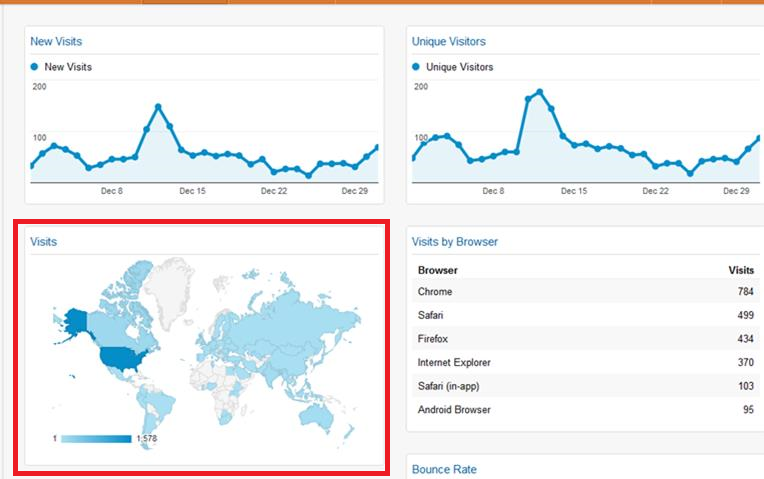 Google analytics will help you determine which country's residents find your website most appealing. When you have that information, you can extrapolate to what language most residents in that country read (Remember there is a huge difference in most countries in the language they speak, write and read). If you find that many users come from countries whose primary language isn't English, you can try for a multilingual website. If that seems unreasonable, at least add a Google translate toolbar to help visitors read your content in the language they're most comfortable with. Note. Do you know some countries hate your website? This is usually found out in the following ways. 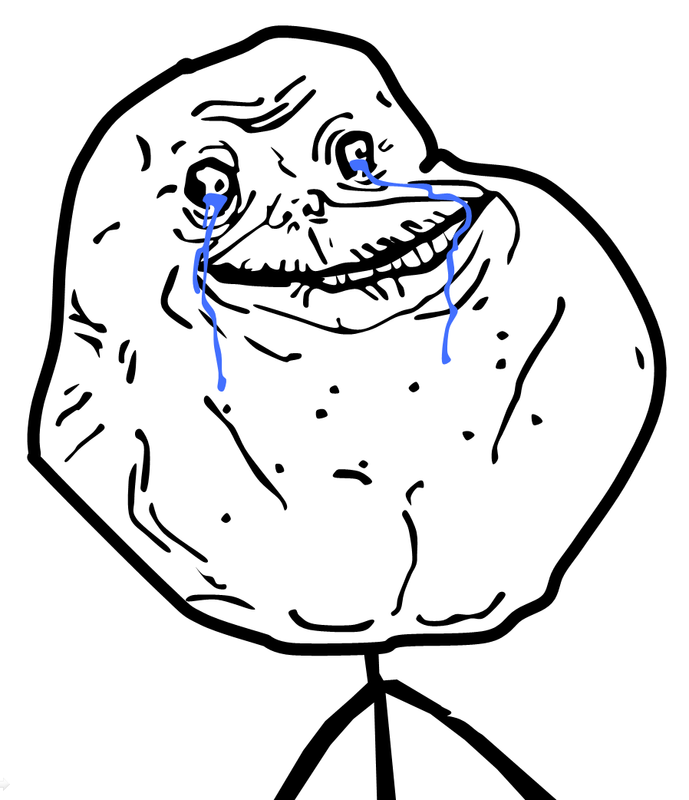 Google analytics would tell you which browser the user was using when he/she visited your website. Using such information you can streamline your website to be run smoothly on the particular browser. If your website is read by a certain section of society which uses internet explorer, you can either modify the website in such a way that there are no lags or errors when they open your website in IE OR you could try answering the question why do users from Chrome or Firefox, not visit your website often. Is it because there is an inherent error which crops up when your website is viewed at those browsers or is it because the positions of elements get messed up and it looks like a grotesque pixie. 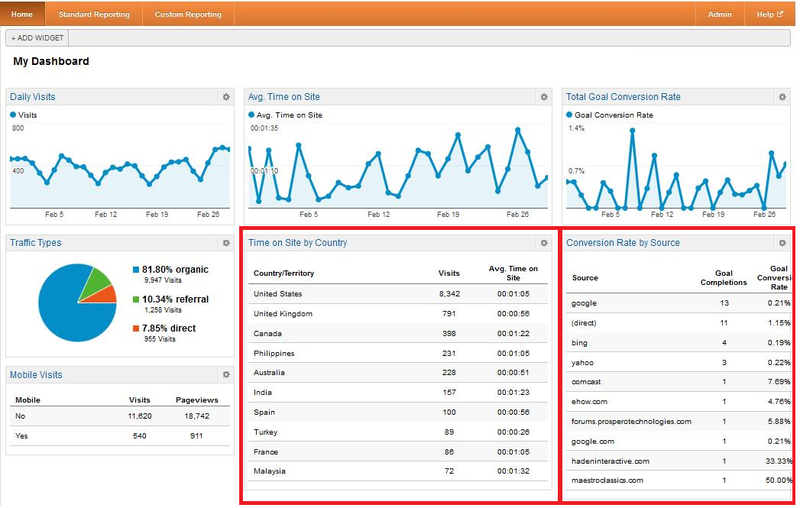 Google analytics would also tell you what device the users use when viewing your website. Certain users might use an iPad, certain might use PC and some mobile devices. 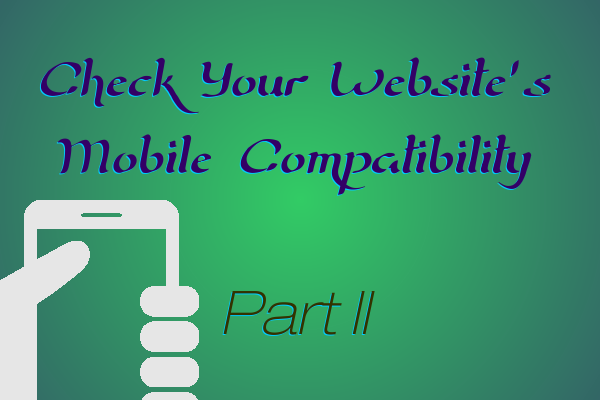 It would be a good practice to check if your website works perfectly at these devices. From where do they get here? Another way Google analytics can help you is by finding out how did the visitors land at your website. Using GA would help you isolate (Or what I would like to say stalk) your visitor entry methods at your website. You would find out which website led them here. For example if you find that majority of viewers come to your website from your facebook page you would think if you could utilize that opportunity to optimize facebook advertising or adjusting your strategy there. You could also think why visitors come from facebook when you have a twitter handle too. Though there are several Google products which can help your website like Google Adsense or Google Adwords, none of them come close to the quality of data provided by Google Analytics. Top 500 websites on the web are often found using similar tools to get more information about their viewers or find more ways to impress and retain them. 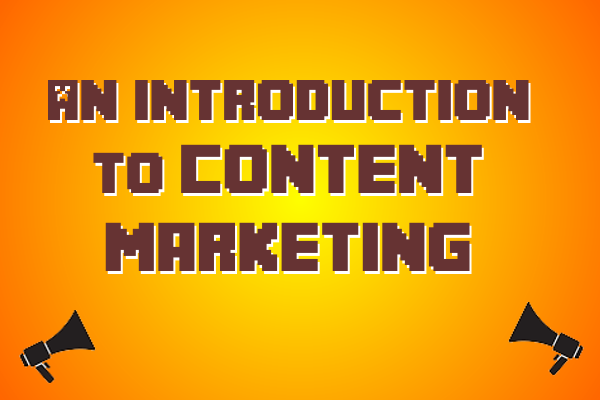 Content Marketing or Internet Marketing is basically advertising whose main job is to direct traffic from one website to another. This might include direction of traffic from a blog to an eCommerce website or from a social network to a blog/ website. More often than not, advertisements lead to a series of events not envisioned even by the web owner. A very simple example can be a situation where a user sees an advertisement on Facebook which he clicks on. This leads him to the particular blog. An advertisement about headphones pulls his focus and he clicks it which leads him towards amazon, where he buys a headphone. You know the advertisements and the content you receive at your inbox. Often this invariably leads to maximum buying behavior. This may be related to the psychological behavior which goes like this. "If you see a coca cola advertisement in your living room you are more likely to buy a coca cola than when you see one at a banner outside. But this does not mean you should resort to phishing scams. This includes e-commerce, website promotions, search engine advertising, affiliate marketing and search engine optimization practices. 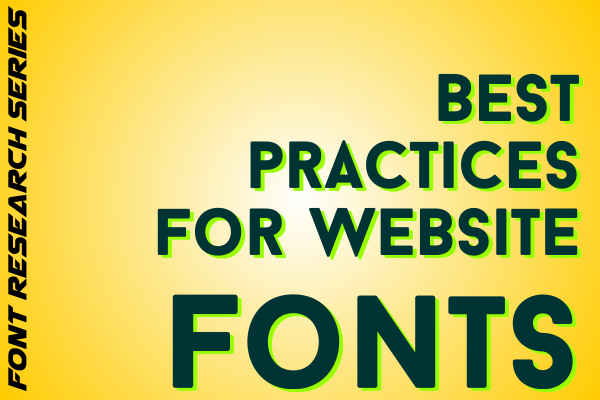 This also includes stuff like which font should you use for better visitor interaction or certain website best practices. This involves marketing efforts from websites like Facebook, Twitter (though it is not better than facebook) etc. where you try to increase your social media efficiency. Marketing efforts at such websites are so popular mainly due to the unprecedented amount of visitor interactions present at them. A Website can be easily converted into a mobile Website. A blogger based blog, still easier. What after the conversion? How do you reckon that the website is now mobile friendly and none of any readers will have problems opening the website in their PDA. 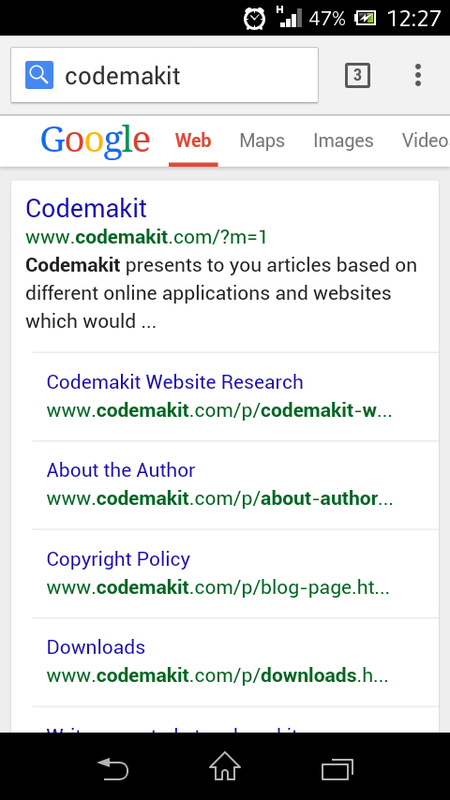 A previous article by codemakit talked on compatibility of websites for its use in mobile devices. The article talked of GoMo which developed a tool known as GoMometer which analyses the websites and reports its findings. A major disadvantage in GoMo is that you need a person to give the feed-back. In Short, you need to ask a person to visit your website and fill the GoMo form. When many of them view and report their satisfaction/dissatisfaction, you'll get a fair idea about the website in question. But what should you do when you do not have enough beta testers, or if you're alone, you’ll need something better and faster. Behold! Out from the ashes, emerge, "Google Webmasters Mobile Friendly Test"! There exists a bar where you need to enter your website's URL and click analyze. To think of it, it is very similar to the page speed analysis page. Though Google has enlisted some stuff which has to be thought of before you consider it as a mobile website, you can still view the condensed version of Google's Webmaster mobile best practices. The worst thing about viewing a website from a mobile device is the strain your eyes have to endure while reading. A lower font size not only increases eye strain but also lowers the reader's interest leading to higher bounce rates and lesser session duration & Pages per session. 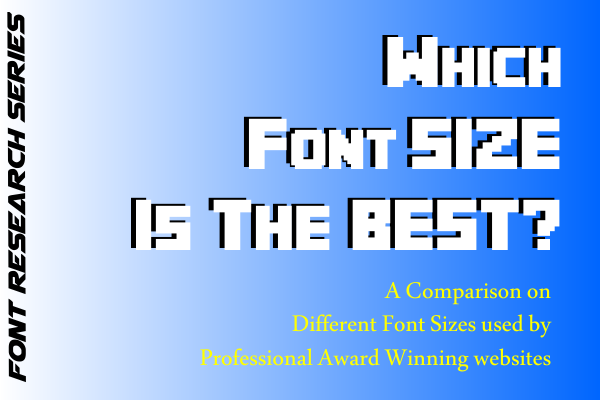 If you're not sure which font size is the best, check out codemakit's study on the best font sizes for websites and the best font types for better user interaction. 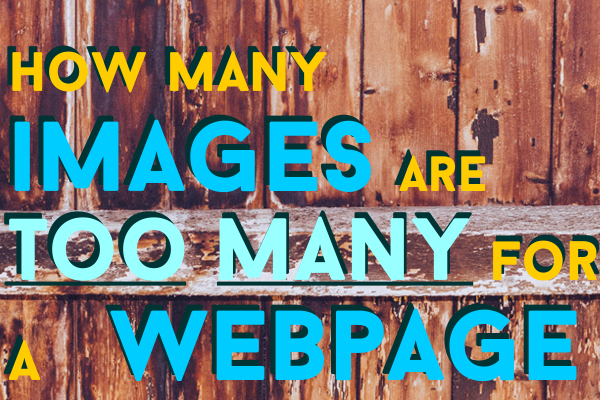 your website must have minimum of Flash content as it creates complications in mobile environment. Actually too much of flash content is not good for any website. Though Flash content looks more beautiful than most non-flash websites, the flash content is rarely read by bots and hence it is not indexed. If you have followed the three steps enumerated above and you're still not sure about how google sees your mobile website, you can have a look at Webmaster's mobile friendly tools. Though Google is reliable, what is more reliable than the creators of the internet, W3C or World Wide Web consortium too has an awesome mobile check tool, where after analyzing a URL, it will display the areas in which the website is weak and need improvement. Being a purely technical checking tool, the W3c mobile Checker can be a harsh checker. (It gives a score of 37% out of 100 to facebook.com) But it has the ability to point out separate problems in the website.